The CEO and founder of Renegade Lens Pictures, David Christopher Loya has produced, written, directed and edited over 300 commercial and episodic productions that have aired both globally, and across North America. 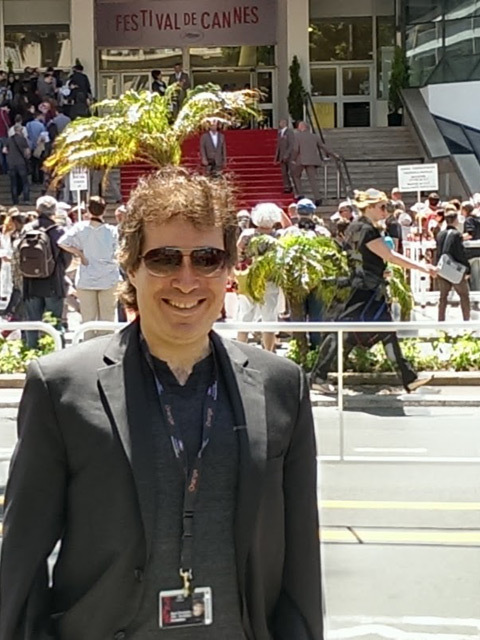 A Cannes Marché du Film accredited filmmaker, David’s work has been recognized by numerous international awards. A partial list includes 20 Silver and Gold Tellys, as well as a Finalist honor at the New York Film Festival and the Banff World Television Festival. As a documentary filmmaker, David directed and produced the acclaimed PBS special The Big One - The Truth About the San Andreas (New York Festivals' Finalist and Telly Gold Award Winner); served as line producer for the A&E Series First Flights with Neil Armstrong; produced and directed Journey of Loss… Discovery of Hope (Telly Gold Winner); and directed and produced the multiple award-winning NFL sports documentary The Moss Method focusing on the legendary New England Patriots Wide Receiver, Randy Moss. On the new media front he has produced and directed many interactive productions including Voices - Rock and Roll’s Invisible Instrument, an award-winning, interactive multimedia exhibit for The Rock and Roll Hall of Fame that toured across the United States. As a veteran commercial and corporate-production director, David has created dozens of successful, award-winning marketing, training, PR, and fund raising films for Fortune 500 companies and international non-profit organizations. These include companies and organizations like Microsoft, The Smithsonian Air and Space Museum, The Mayo Clinic, Sprint International, TCI/Liberty Media, The Cleveland Clinic, Lockheed, Sunkist, World Vision International, Aramark, Mercer, Prudential, National Medical Enterprises, The Salvation Army, eHarmony.com, Coalition for Pulmonary Fibrosis, Beckman-Coulter, and The University of California, Los Angeles. Commissioned productions (written, directed and edited by David) have successfully been used by educational institutions, and national and international non-profits, to raise over $1 billion dollars in donated revenues. His focus on authenticity in performance and execution has been successfully registered through the U.S. Patent and Trademark office as the “Conscious Filmmaker” approach to production. David is the only filmmaker in the United States who has held the Conscious Filmmaker registered trademark.Among current films in development, David is attached to direct the feature motion picture - Beyond the Moonwalk - A Dream to Dance: The true, untold story of the street dancer who taught Michael Jackson, and who went on to transform pop culture. His other theatrical film attachments include the critically acclaimed, sci-fi thriller, G.O.D. 2.0, and the gripping, “conscious”, supernatural horror, Dark Veil. Melanie Janine Arden was born in Toronto to a family of soldiers, musicians, and writers. She began her career as a production assistant in New York City. Following graduation from the University of Toronto, she spent six years employed as a senior producer/director where she was responsible for directing 1,500 hours of live multi-camera broadcasts. Melanie transitioned to producing films with Rain from Stars, starting French Stewart, James Karen, and Claudia Black. She caught the attention of a prominent U.S. distributor for her talent and skilful negotiation abilities. A gifted producer with a strong creative and business sense, she effectively balances investors' interests with an eye toward profitability. Her high standards and transparency puts her ahead of the pack. Through her company, Norlane Motion Pictures, Melanie develops and produced an active slate of film and television projects. She works closely with international financiers, talent agents, distributors, and other production companies. She is highly regarded for her professional edge, team spirit, and impeccable credentials. In her spare time, Melanie enjoys the great outdoors taking part in adventures that include rappelling, travelling, yoga, and swimming. Her compassion for underprivileged children is demonstrated through her generous humanitarian efforts to help them lead fulfilling lives. 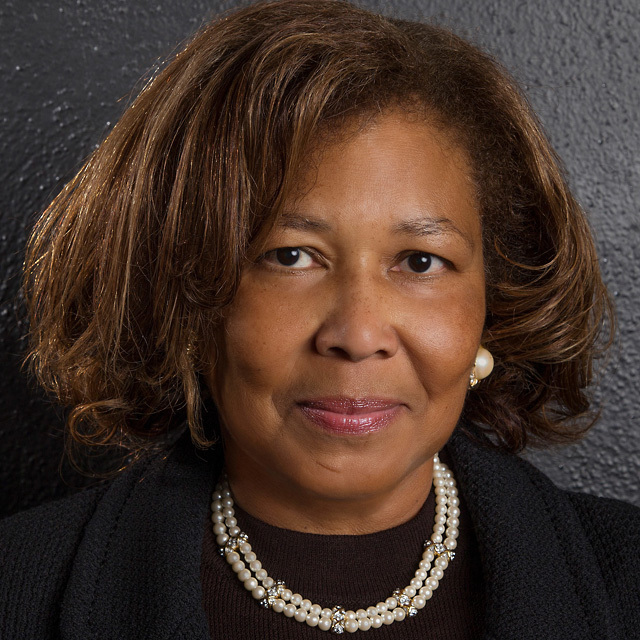 A former executive with the Walt Disney Company, Beverly Cole is currently a Board Member of Bank OZK, $22.2 billion, total assets as of June 30, 2018. The bank is recognized as the #1 bank in the nation in its asset size for eight consecutive years. She is also the CEO of Cole Renwick, LLC, a multi-state property management company and is the retired CEO of CR Foods, the largest Southern Florida woman-owned Church’s Chicken franchisee. Beverly holds an MBA from The Wharton School of Business and a J.D. from Fordham University. She is a member of The Wharton School Angel network, Belle Capital LLC seed fund, and board member of Founders First LLC, a small business accelerator and revenue backed fund. She was a Wall Street institutional sales person and an investment banker. She managed all areas from financial modeling, structuring, advertising development and marketing asset-backed investments. She was hired by Eastman Kodak’s Real Estate Department as an executive where she structured complex estate transactions and managed corporate divestitures. 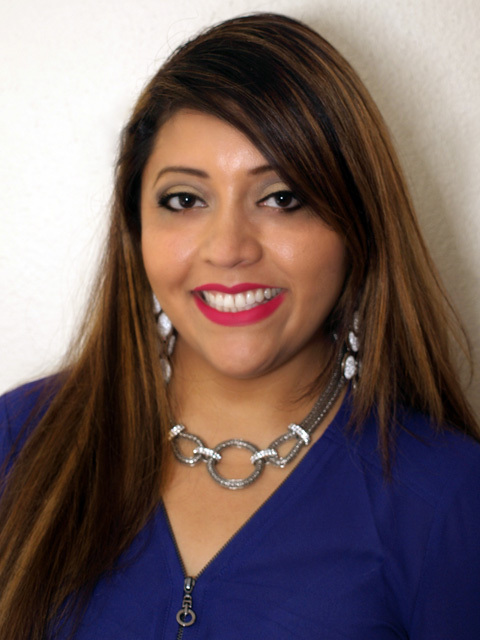 She received national recognition for her supplier diversity achievements. While at Kodak, she received the State of California’s recognition for her public and private economic development partnership. She was tapped by Disney’s executives to lead Disney’s supplier diversity program, taking it to national prominence, advising Disney’s CEO, CFO and General Counsel, earning Walt Disney national recognition for its economic development efforts. She took Disney’s Procurement program to a cost-focused inclusion based program garnering US Congressional Record recognition, awards from several Governors, Congressmen, multiple state, city and county recognition throughout the country. Her past positions have also included Senior Federal Regulator positions with the Office of Thrift Supervision and the FDIC. She conducted safety and soundness, CRA and Commercial Lending examinations on the top 20 US financial institutions. While at the FDIC, Ms. Cole led a multi-state marketing effort selling billions of failed financial institutions’ assets. In addition she had oversight over billions of Loss Share Agreements held by financial institutions. Her last Federal position was with the Small Business Administration’s Liquidation Division where she managed over $2 Billion in Small Business Investment Corporation (SBICs) assets. During each Federal tenure, she was awarded Federal performance merit awards. While at the SBA, the porƞolio companies managed included medical, health care companies. Ms. Cole has been an advisor to Asian and European companies seeking expansion and strategic opportunities into US markets. When Ms. Cole was an attorney, with Union Carbide Corporation, she was responsible for SEC and regulatory legal matters and she practiced real estate law. 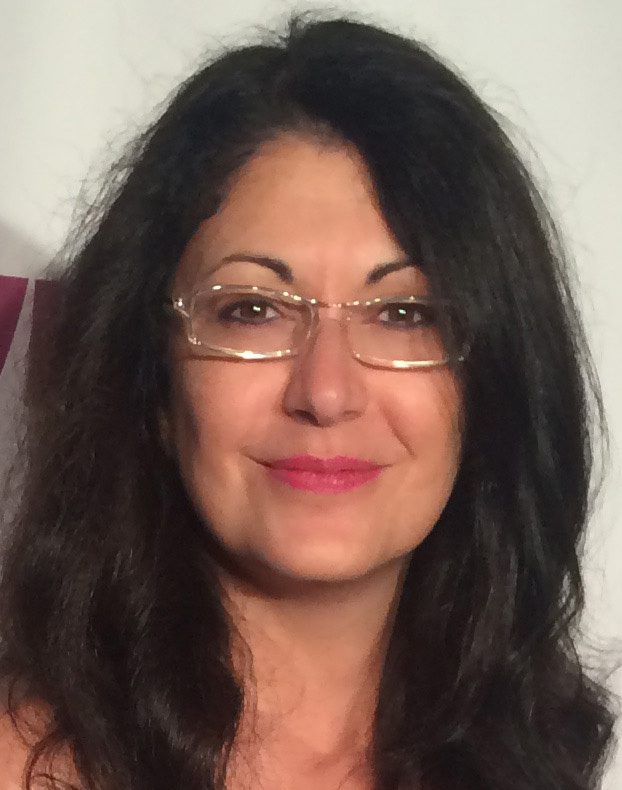 Paula Moreno has earned a place in the forefront of new producers within international cinema. Her 2010 feature film IJE, The Journey, has broken records in the Nigerian film industry, becoming the No 1-grossing film of all time for Nollywood. When IJE was released, it out-grossed both "Shrek Forever" and "Inception" in the West African film market. The project has made Moreno the first Hispanic producer to establish credentials in Nollywood. Moreno produced, wrote and directed her first film in 2004, a short titled Planet Far Away, for which she won awards for best director and best writer at a Tokyo film event. She followed that success with more award-winning films, the short, Lost Lives - and the feature length, Maquillaje. Her passion for social justice was developed during her 12 years as a case manager and public relations manager at a California law firm. Drawing on that experience, she partnered with a notable criminal defense attorney to produce a series of documentaries examining the lives of death row inmates. She also has worked closely with Emmy Award-winning and Humanitas Award-nominated writer director Micki Dickoff on the documentary The Legacy: From Gary Graham to Shaka Sankofa. In addition to her film experience, Paula has produced numerous commercials and written numerous commercial jingles for radio. She has also served as the theatrical distribution and marketing executive for numerous film releases. Including The Tales of Halloween, Turbo Kid, the $10 million Caesar Chavez biopic, Under the Rainbow and many others. As the International Co-Producer for Renegade Lens, Cora works as a creative liaison to the European, Middle Eastern and Asian markets in both the promotion and production of our slate of film and television productions. An elite triathlete, Cora began her career as a professional skier and snowboarder, competing in regional and international events. She has also trained and coached executives from around the world in some of Europe's most prestigious winter resorts. Fluent in five languages, including English and French, Cora earned her Masters degree from the University of Savoy specializing in International Trade, Communication and Management. Cora interned in the United States with Citicorp in Dallas, and also at the International Center of Lafeyette, Louisiana. Returning to Europe, she served successful international trade internships in Holland and Denmark as well. Cora subsequently spent two years in the Sorbonne studying filmmaking and later worked as a production manager and film editor for prominent French production companies and government institutions. Additionally, she is a screenwriter with five completed scripts - with two in early film production development. Recently she earned her certification as a master Neuro Linguistic Programming practioner and coach, having studied at CQPNL, Montréal, Canada. Cora can be reached at . Steve attended Rocky Mountain College in Billings, Montana, where he earned All-League honors in both Academics and Athletics and was also elected captain of the fooball team two years running. He interned at the Billings affiliates of both PBS and CBS news, and graduated with a Bachelors Degree in English and a Minor in Communications. Following a brief venture into the world of professional football, Steve stepped in front of the camera as both an actor and model. His acting credits include appearances on PUSH (ABC), The Invisible Man (Warner Brothers), Silk Stalkings (USA Networks) and Renegade (USA Networks). His modeling credits include national advertisements for Sports Illustrated, Budweiser, Nike and AHA clothing line. 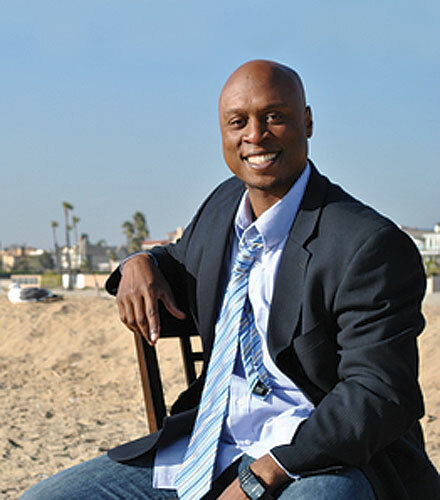 In 2004, Stephen parlayed his acting experience and internships at The Best Damn Sports Show, Fox Sports, and KUSI San Diego into a producing career. His projects include "Sports with Flavor" (Comcast), The Salvation Army 2006-2008 San Diego Territory fundraising campaign, The 2007 - 2008 San Diego Kroc Center fundraising and marketing campaign, The Long Beach Unity Festival (commercials and marketing), The Angel City Classic Football Game (promotional marketing), and the KLJH 102.3 FM morning web series. He is also currently a producer for LBTV Channel 8.